Share Tribute to Luther Vandross's EPK! Gregory Gibbs musical roots started, “In Church”. He started singing in church at age 9 and was call upon quite often to lead songs in the choir and to sing solos at various church functions. Having been born with the gift of singing, Gregory says the gift of singing came from his father who had a sultry articulate baritone voice that was said to be a cross between the late great “LUTHER VANDROSS and SAM COOKE. Having grown up listening to the sounds of the late great “SAM COOKE” and many of his favorite artists include: The late great “DONNY HATHAWAY AND MARVIN GAYE. He has several other artists that he admired “STEVE WONDER”, PEABO BRYSON, and DAVID PEASTON. But his all time favorite is the Great Romantic “MR. LUTHER VANDROSS”. Realizing that his voice had such a positive affect on people, he has tried his hand at singing for Private Parties, Night Clubs, Social Events and Corporate Events. The turn out was so overwhelming, that he has decided to make a career out of it. He has opened for such artist as “THE OHIO PLAYERS, THE DRAMATICS, THE FLOATERS, ESCAPE, AVANT, GLADYS KNIGHT, TEENA MARIE, and NEW EDITION”. 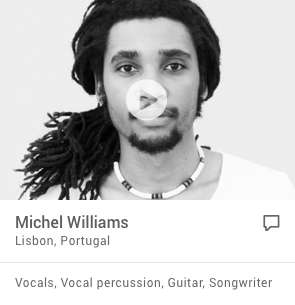 He has even shared the stage on the island of Bermuda with “CHARLIE WILSON and KINDRED & THE FAMILY SOUL. Singing his single he wrote entitles “LET’S GET MARRIED”. For Gregory, music is an escape for him. Music gives us a mood that could be happy, sad or even romantic. The joy that he gets out of performing is that the audience is so responsive to my voice. After ever show I give, they always come to me and tell me that I was so great. To walk into a room where no one knows you and to walk out with praises is an ultimate feeling. That’s what keeps me striving. For more information on booking the artist: Gregory E. Gibbs A.K.A Luther Vandross please contact: MZ. 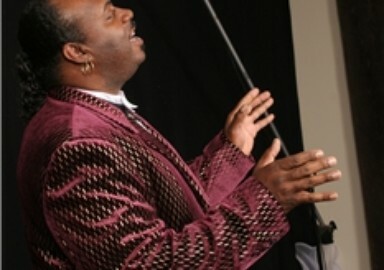 Stephanie (773) 930-7881 or stephanie_r_25@yahoo.com or tribute2luthervandross@yahoo.com. NEVER TOO MUCH, IF ONLY FOR ONE NIGHT, HOUSE IS NOT A HOME, LOVE WON'T WAIT, CAN I TAKE YOU OUT, LOVE THE ONE YOUR WITH, ENDLESS LOVE (DUET), HERE & NOW, SINCE I LOST MY BABY, AND MORE. SETS CAN RANGE FROM 10 MINUTES TO 45 MINUTES.